Scotland Farm stands in a splendid setting within an elevated position on Black Mountain and commanding far reaching panoramic views across Flintshire towards the Cheshire Plains with approx 37 acres. Suitable for farming, equestrian and leisure purposes an ideally located rural property. The six-bedroom farm house has many traditional features with inglenook and beamed ceilings. Agents Note: Further land and woodland available by separate negotiation. 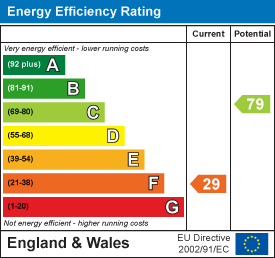 EPC rating F.